Are you currently affiliated with a RIA or BD? Do you have a life and/or annuity planning need you’d like to discuss? Do you consistently use life and/or annuity planning concepts in your financial planning process? Do you currently have a marketing budget? Are you open to new ideas to gain prospects? 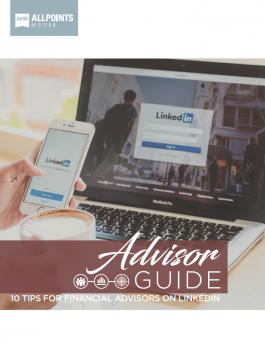 LinkedIn is vital for today’s wealth manager. The days of relying solely on direct mailers, brochures, and references are losing their edge as the world goes digital. Using LinkedIn, you can find new prospects, become a thought-leader, and nurture your client relationships. It’s time to take advantage of all LinkedIn can do! Financial Independence Group is a financial marketing organization that has a passion for building long term relationships with high quality independent financial and insurance professionals looking to get in front of as many families as possible to make sure their hard earned money is being looked after with a watchful eye of integrity, independence and care. © 2018 Financial Independence Group, Inc. All Rights Reserved.